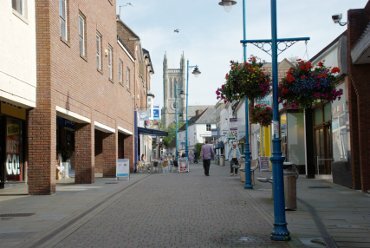 Andover is not the place to choose as a tourist destination but it will make a good centre from which to explore the surrounding area. 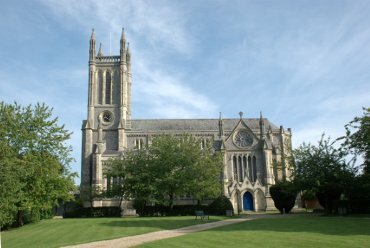 It is, for example, roughly equidistant from Winchester, Salisbury and Stonehenge at around 20 miles from each and there are a number of delightful villages nearby. We stayed in Andover at the Danebury Hotel whilst we were visiting places in the surrounding area. Andover does have a few picturesque and historic locations of which this is one. 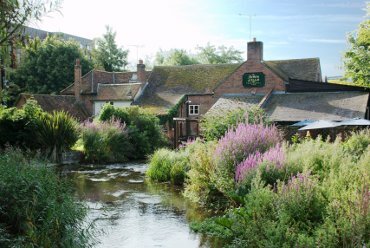 The Town Mills is now an inn but which I think may have once been a watermill because of its name and the fact that the River Anton flows underneath it. It is one of Andover's oldest buildings dating from the mid-eighteenth century. A rather impressive church but built mainly in the 19th century. The original church on this site was medieval but was demolished to make way for this building. The entrance to the churchyard in Marlborough Street includes a Norman archway which was part of the original church. A 16th century timber-framed building, Andover. This jettied building in Chantry Street has painted brick infill on the lower storey. This building and the building to its right were apparently once used as shops. 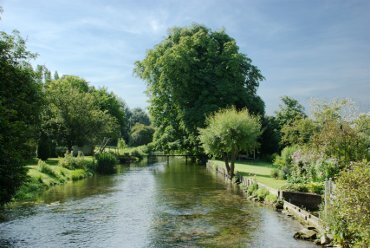 The River Anton, Upper Clatford, Hampshire. 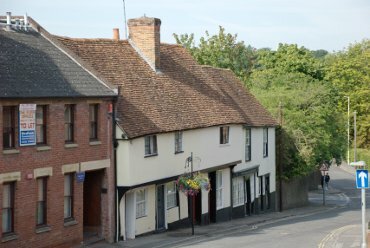 There are a number of small picturesque villages around Andover and, indeed, in other parts of Hampshire of which this is just one. This little river has beautifully clear water.